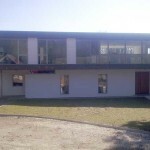 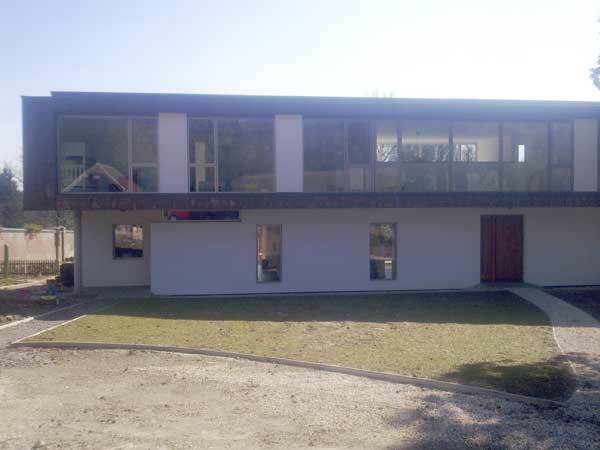 This project is a large modern home, newly built in the Sussex countryside. 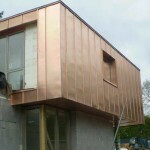 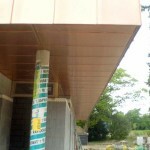 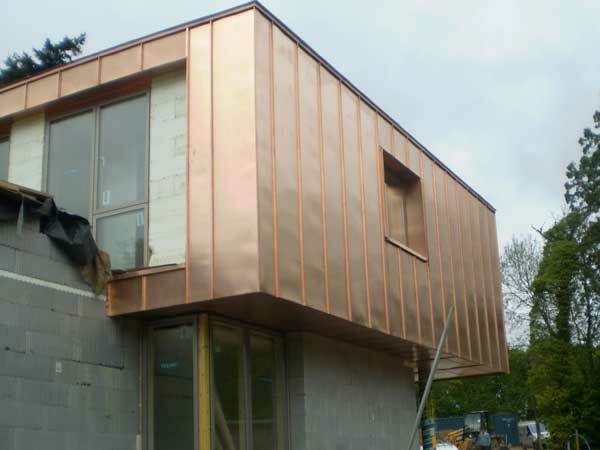 The job uses bronze finish copper which is designed to be less prone to the usual green weathering of copper – it retains more of its original colour. 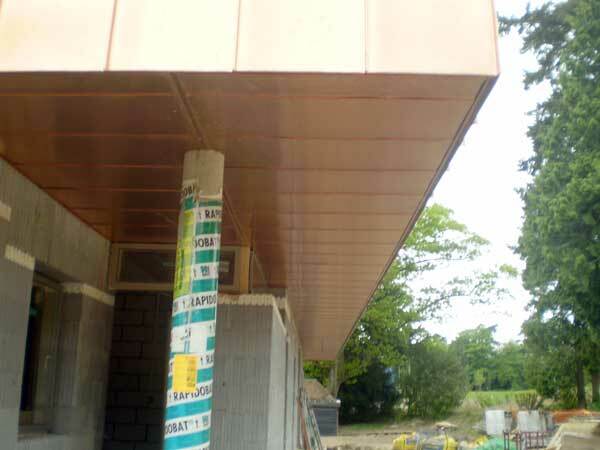 The third picture was taken a year later than the first two.